This can happen to Anyone, Anywhere, Anytime! This is our 7th and Final event. We will have reached our goal of raising enough money to establish a foundation in Nancy's name! 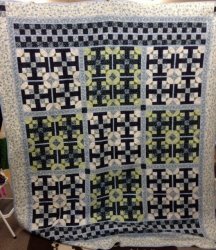 Thank you to Blank Quilting who donated fabric for this year's raffle quilt. 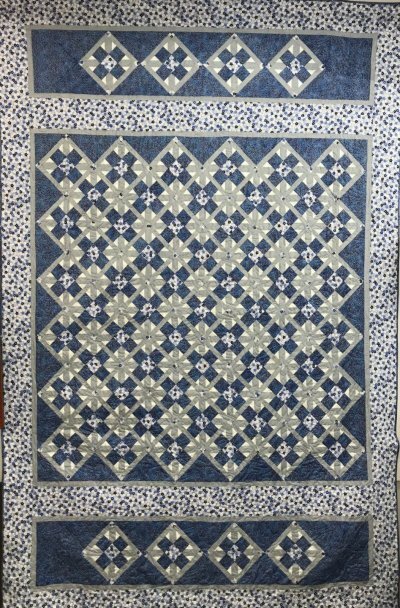 The quilt is named "Fractured Pieces" and is 84" x 112". 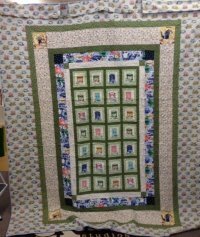 The block was designed by Valerie Morton, blocks were made at last year's event, and were assembled and quilted by Stephen Power. Raffle tickets are on sale now: $5 each or five for $20. Winner will be drawn on March 23, 2019. Here is the email that went out. 10:00-12noon: Students from WNE and UMASS will be joining us and doing some presentations. WNE students will be presenting on helmet safety, CTE v. aging related brain diseases/disorders, and current research in labs that aim to understand TBIs though animal models. UMASS will be presenting on how spinal injuries can be related to TBIs and other head trauma (they'll be bringing in a C-Spine brace to show how and why EMTs use it), and how aging impacts the brain from what we know based on recent studies and findings. This is a great opportunity for the students to do some public speaking and to share knowledge that they have been learning in their studies! 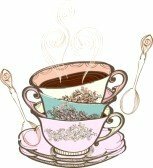 10:00-3:00: Purchase tickets for items in our Teacup Auction. 10:00-3:00: Visit with a Thirty-One Consultant. 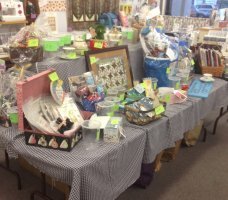 10% of the sales will be donated. 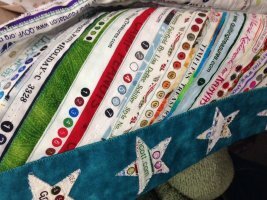 10:00-3:00: Use Exclusive Pfaff stitches to decorate a hand towel. 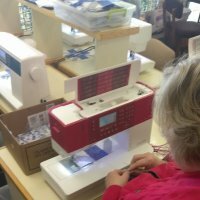 10:00-3:00: Watch a demo of embroidering free standing lace on the Pfaff Creative Icon. 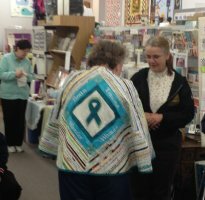 10:00-4:00: Visit Mimi's Consignment Shop next door and she'll donate 10% of the sales that day. 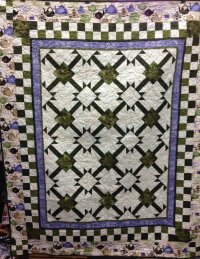 2:30-3:00: Valerie will be demonstrating Chenille Quilting. 3:45: A special celebration event for achieving our goal of raising enough to start a foundation in Nancy's name!!! If you can't attend but would like to donate, you can give directly to Spaulding by clicking on this link http://giving.spauldingnetwork.org In the Tribute section, please select "In honor of" and type in Name: Nancy Power. Thank you! Thank you for all of your support in helping us to achieve this goal! 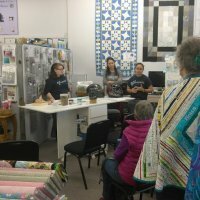 2018: Our 6th Event is done and was a wonderful! 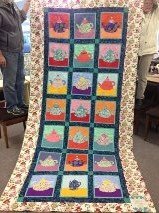 Here is a photo of the quilt made with fabric donated by Henry Glass Fabrics. 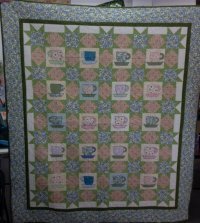 It was won by Martha M. of Wilbraham. Congratulations! 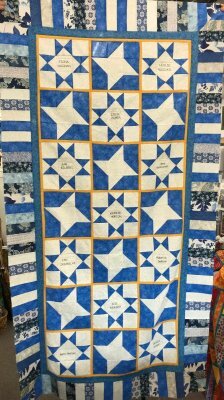 It is called "Stars of Hope" and measures 48" x 72". Students from the Neuro Science Club at Western New England University did presentations from 12-2. 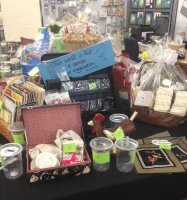 Koffee Tyme, PMK Nail Salon, Mimi's Consignment Shop, Shelburne Coffee Roaster, House of Flower, Memory Lane Lamps, The Tea Guys, Mario's Cafe Ambience, Fazio's Ristorante and many, many generous customers. 2017 was our best year yet! So many donations, so many participants, so many things to do! 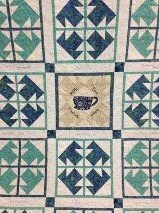 Steve made another amazing quilt! 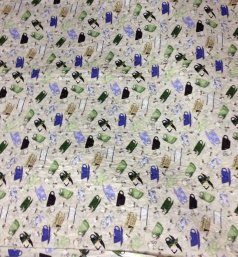 Thank you Hoffman Fabrics for the donation of a bolt of batik fabric that was used. 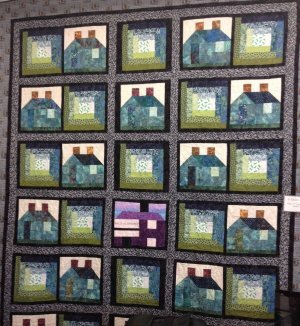 The quilt is titled "It Takes a Village" and measures 90" x 110". May 2017: Check out the article that WNEU did for their students participation! 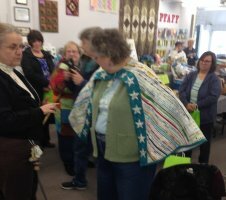 We presented Nancy with a Super Woman cape! Many thanks to Peggy B. and her team of assistants. 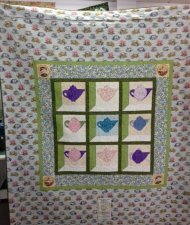 And we can't forget to thank all the people who donated to our Teacup Auction and all the people who purchased tickets to win the items! All funds raised will be donated to Spaulding Rehab Hospital. We are trying to set up a foundation in Nancy Power's name and we are halfway there!!! If you couldn't attend but would like to donate, you can give directly to Spaulding by clicking on this link http://giving.spauldingnetwork.org In the Tribute section, please select "In honor of" and type in Name: Nancy Power. Thank you! June 2016: Steve and Nancy were featured on MassLive in a 5 year follow-up to the horrible accident. March 10, 2016: We've been featured in The Reminder! Read about it here! 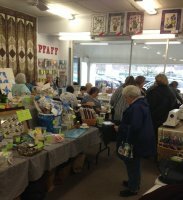 March 20, 2016: Channel 40 covered our event! Watch the clip! 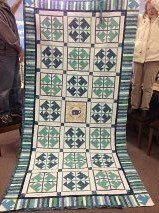 Our 2016 Raffle: First Prize: Quilt- "The Same But Different" 64" x 128"
Won by K. Walsh! Congratulations! Won by Beth N.! Congratulations! 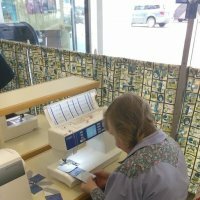 Unique Jewelry: We will have some magnetic jewelry from ZappyDots on sale with a portion of the proceeds going to our event. We'll also be able to take orders. To see what they look like check out their website at zappydots.com. Watch WGGB from Thursday March 12, 2015 from 12-1 to see Steve Power talking about Head Trauma, Traumatic Brain Injury and our event!! Watch it here! 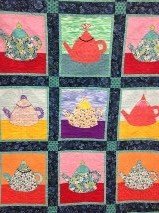 2015 Raffle Quilt "Helter Skelter" won by Tony D. of Enfield, CT.
2014 Raffle Quilt "Sweet Tea" won by Connie H. of Longmeadow, MA.